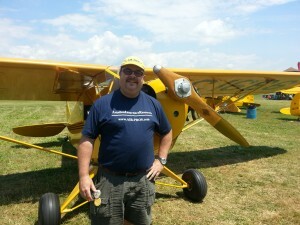 Aviation Insurance Resources (AIR) regional representative Jon Shimer recently attended the 28th Annual Sentimental Journey to Cub Haven Fly-in at the William P. Piper airport in Lock Haven, Pennsylvania from June 20th through the 23rd. The featured plane for 2013 is the Piper PA-18 Super Cub. 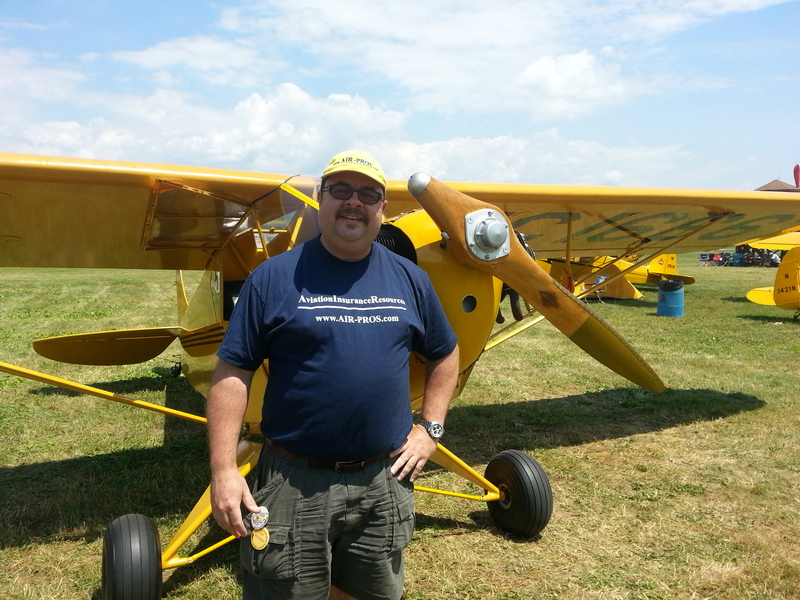 Shimer has been flying since 1979 and the Piper Cub quickly became one of his favorites. He has flown over 50 models of aircraft, including over 300 hours in Piper Cubs. He was excited to gain more Cub time during Sentimental Journey. The Sentimental Journey Fly-in also featured educational forums, static displays, food vendors, exhibitors, flying contests, poker run, local fly-out destinations, camping, movies, airplane and helicopter rides, and live entertainment, featuring the Alabama Boys. “I then was invited to announce as a comedian as “Forrest Gump” in the Alabama Boys with Greg Koontz Airshows on Friday and Saturday,” added Shimer. As we mentioned earlier, the 2013 featured plane was the Piper PA-18 Super Cub. Of course, all makes & models were welcome at the event. AIR boasts the broadest package of protection at the best available rates, offering a wide range of aircraft insurance options for aircraft of all makes and models, from Cessna Aircraft, Beechcraft, and Cirrus Aircraft to Robinson Helicopters, and, of course, Piper Cubs. We represent all of the major aviation insurance markets and are licensed in all 50 states.